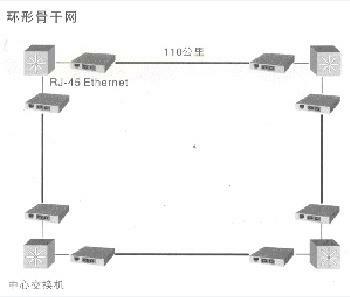 The chain-type backbone network can save a large number of backbone light quantity by chain connection, which is suitable for constructing high-bandwidth and low-cost backbone network at the edge of the city and the suburbs. The model can also be used in highway, oil and transmission Lines and other environments. Chain backbone network support for IEEE802.1Q and ISL network features, can guarantee compatible with the vast majority of the backbone network, for the financial, government, education and other industries set up broadband virtual private network. Chain backbone network is able to provide image, voice, data and real-time monitoring of integrated transmission of multimedia networks.